Check out these amazing photoshop CS5 tutorials. Nicola Gordon, a self confessed photo geek shows how she does it with incredible photographic tricks. My favorite photo manipulation was the complete removal of a telegraph pole from the middle of a picture. Where once the pole was an eyesore in the middle of a mountain scene, 1 minute 10 seconds later it is gone without trace and the picture is now a flawless mountain scene. 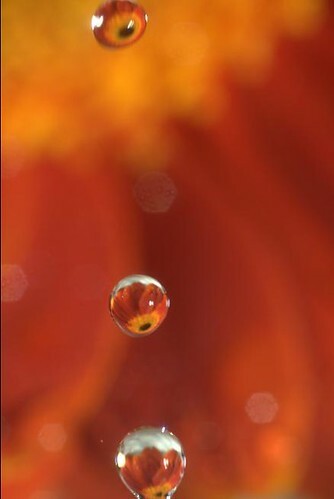 Other great tricks on Nicola’s photographic site are, ‘How to add lens flare to your photo’ and as shown above, ‘water drop reflections‘ and also ‘still life’. All of Nicola’s Photoshop tutorials are unbelievably easy and narrated by her in simple step by step instructions. These are the secrets to brilliant stunning photos. You too can be a photo geek. Incredible photo manipulations on Photoshop CS5 are learned literally within minutes. Check it out here on Nicola’s site, Zoom-foto – Photoshop CS5 tutorials.